My first night out under the stars was some 2 decades back. It was awesome. It was hard to close my eyes. There was much to listen to, so many stars to watch and oh so many creepy crawlies!! But the mozzies were worse. Despite experiencing funny things that happen while you sleep, I sleep better today outside than at home. Our weekends are usually spent under the stars. 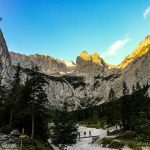 To get to this level, choosing the right sleeping bag is really the most important step that made it possible besides finding a safe and quiet place to stay. 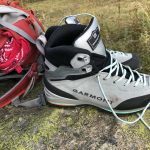 2 Let’s get technical – How does a sleeping bag work? Which altitude am I going? What temperatures am I going to expect? Alpine/ Tropical / Arctic / Mediterranean / all? Is weight important for me? Am I going to carry it all the time? 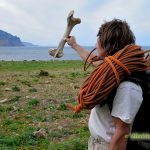 Am I going to bivouac under the stars? Is there a tent, am I in the hut? Or a man. Does it really matter? What else do I need besides the sleeping bag? What do I wear under the sleeping bag? Where can I get good consulting? Are you a left or right hand sleeper ? Can you choose on which side the zipper falls on? 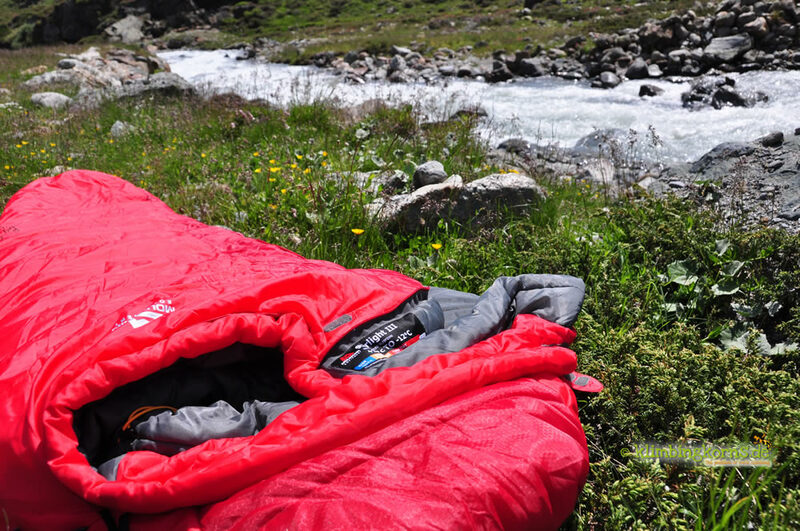 Let’s get technical – How does a sleeping bag work? The sleeping bag acts as a layer of insulation around your body that traps the heat and then reflects it back to you. The less air there is to be warmed up, the faster you will feel it radiating back. A sleeping bag that’s too small prohibits movement, thus with less comfort, unless you sleep like a log. Sleeping bags suitable for camping are usually roomier, and often you can pair them off with another sleeping bag for more comfort, but they result in less warmth. So, you’ll have to put your priorities right. 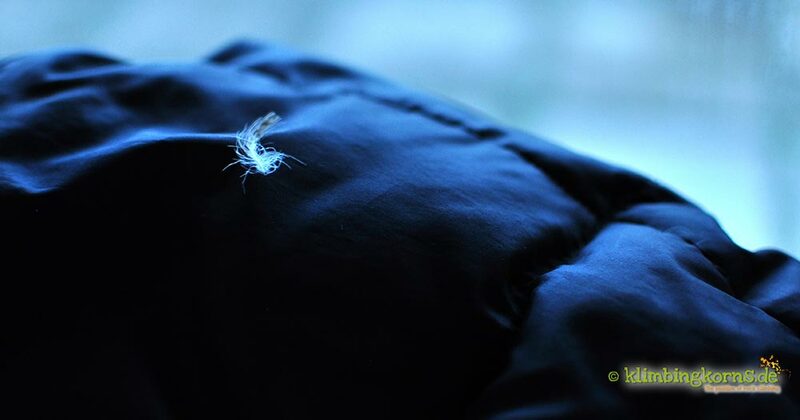 There are many methods of sewing all those cuddly, soft little filaments or down feathers together to achieve the greatest warmth out of a sleeping bag. Down bags are usually constructed with the baffle box or sewn through method, where as synthetic bags comes in shingle or the layered construction. Each method has its pros and cons e.g. the sewn through method usually offers more chances of a cold spot to seep through, whereas an overlapping layer traps air and prevents the warmth from escaping. But bags with the sewn through construction are usually lighter too. My first sleeping bag was a down. Down is warm, it’s light. If those ducks and goose birds withstands the frost with just a couple of feathers, chances are you probably would too. That was how I choose my first sleeping bag back then. I have been using down sleeping bags until about 3 years back when my curiosity for synthetic bags arouse. I now have 2 different sleeping bags in my closet. Down for the winter, Synthetic for the rest of the season. I never knew that there was a difference between down and feathers. For me, everything that came along with the bird had feathers on it. Down is actually the thermal layer of soft, fluffy insulation feathers found under the exterior feathers of the bird. The exterior feathers can be processed in too. Little chicks and baby birds are covered with down feathers (Source: Wiki) thats why those baby birds don’t freeze even though they look so naked because they have a thin layer of down around them. When you hear of terms like 90/10 or 70/30, it’s about the ratio of down feathers to feathers that are used to stuff the sleeping bags. So, a bag that has a higher percentage of down feathers is warmer than a sleeping bag that has more exterior feathers in them. It is also usually lighter. Then you would also discuss about which bird the down feathers comes from. Is it a duck or goose? It can be both. The Siberian snow goose gives the highest quality of down, it is also the warmest and most expensive. Animal welfare issues are big news these days as the demand for these products continues to increase. Ethical production in an ecological, animal friendly method of attaining down should be encouraged and plucking them alive should really be banned. The Fill power gives you an idea on the quality of the down used and how warm the bag is. A 900 cuin bag has more fill power than one with 600 cuin, making it warmer without making it heavier. If weight is an important factor for you, it’s better to look for a bag with higher Fill power. durable – if its well taken care of. My last down bag survived 12 years, my hubby’s Expedition sleeping bag “Kantsch” of 25 years also survived a 6 week trekking trip to Nepal and is still in use today. And not been washed once since! Yikes!! insulation performance drops when wet. This is probably the biggest setback in a down product. Just like the birds, their outer feathers are coated with a film of fat, making the feathers water-resistant and keeping the down feathers below dry. So it’s equally important to keep your sleeping bag as dry as possible especially after a rainy night filled with plenty of condensation in the air, and after sleeping in it, as warm air that is produced from your body when cooled causes condensation too. 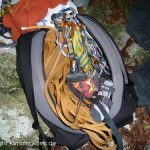 So airing your down bag regularly is important. Avoid issues that can get your sleeping bag wet. Tip: If you wake up to find yourself with a freezing feet, my guess is the bag got wet there. Protect yourself by placing a garbage bag at the (foot) end of the sleeping bag or cover the ends with a synthetic jacket that s zipped together. Also, if you’re travelling to countries where humidity soars to 98%, you’re better off with a synthetic bag. Not really a disadvantage actually, but if you are very sensitive to smelling like any animal after a night in your down sleeping bag, you might want a synthetic sleeping bag instead. Your down sleeping bag starts to smell and it’s typical after long periods of usage, esp. on longer trips. Again, airing is the keyword to it all. Down is a natural product, which means allergy is possible. But chances are if you have an allergy here, you would’ve avoided this already in your home. Look for synthetic insulation right away. Synthetic insulators are man-made materials out of polyester. In the past, I never believed in synthetic filled sleeping bags. For me, barely looking at them would give me the shivers. Through the years as technic improved curiosity got the better of me as I made my first performance tests in summer. No risk no fun. Read them here, here and here . See how I got braver each season? Terms like Primaloft® or Climashield® are just some of the different ways filaments are developed for use. Today, synthetic sleeping bags are really good. I was experiencing extreme temperatures ranges of 30°C. The nights dropped to 2°C, and I was astonished when my thin looking synthetic sleeping bag made me sleep through like a baby. It is a great asset when you know that your nights are safe while travelling in regions that can rain a lot, or in damp shady areas that produces plenty of dew in the morning. Down would perform not too well in such situations. In fact it would stop performing at all. 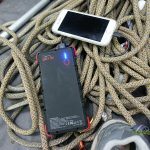 continues to insulate even when wet – sometimes this is life saving! Shivering cold is the last term you’d want to use to describe the night out under the stars. 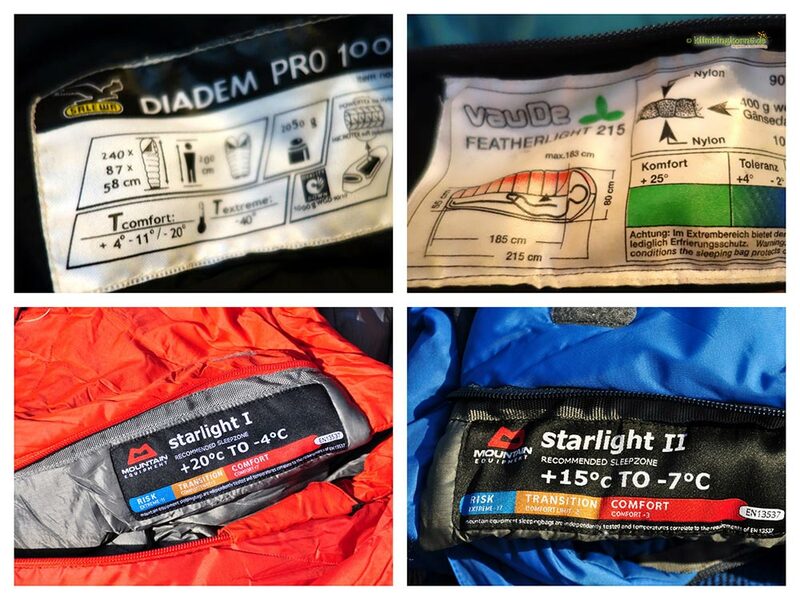 To know which sleeping bag fits perfectly to you, there are temperature ratings found on each bag, giving you a better idea of where you could go without getting frozen. You’d like to be sure that nothing is going to be wrong, coz making the wrong choice doesn’t give room for making it good again. The next hotels are far off, your car is miles away and you are out alone to survive the night. These temperature ratings on the sleeping bags are just guidelines. They follow the European standard EN13537 which is the official European criterion for the classification of sleeping bags. (Source: wiki) Many other factors however contribute to make or break those ratings. Girls generally freezes easier than boys. Perhaps the exhaustion from the day or going to bed hungry can help makes you feel less comfortable in a sleeping bag. I like to choose warmer sleeping bags for myself as I know I will be safe in all conditions, and if too warm, I’d just open them up and use the sleeping bag like a blanket. So as much as the temperature ratings are important to you, it depends also on the factors of the day and surroundings. Look for the “comfort” temperature your nights are going to be. Make sure the transition temperaures are always 10 to 15°C less than your nights. Other factors that contribute to warmth and comfort are e.g. the quality of your sleeping pad, tent, clothing, hydration, metabolism type and so on. 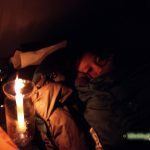 Read on here to learn whats best to wear under the sleeping bag to get the best out of your sleeping bag. 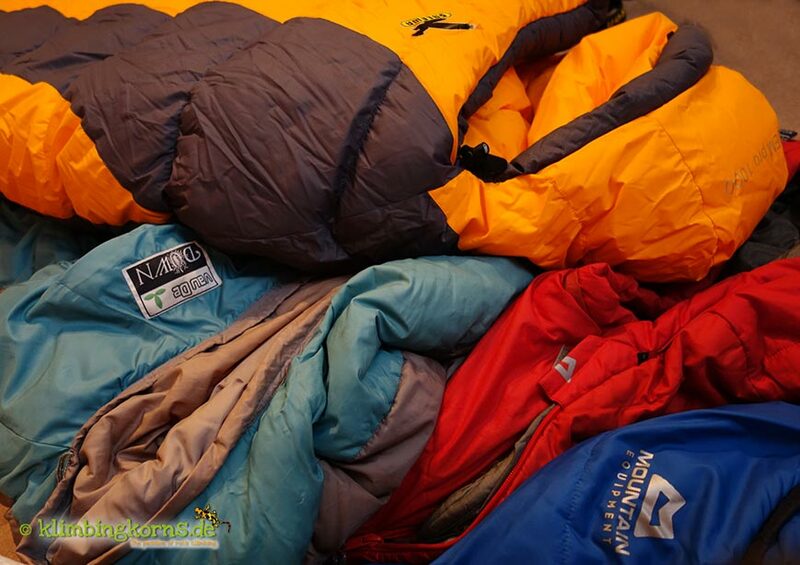 Backpackers and hikers are more likely to look for sleeping bags that saves on weight. Campers and those who don’t have to worry about carrying your bed around will not have to put much worry, as long as it keeps you cosy. Most of the sleeping bags in the market are mummy shaped. The disadvantage about this shape is when you want to use your sleeping bag as a cover blanket on warmer nights and find that the zippers ends just before the foot area, leaving a strange bulge at the bottom, and the cutting is all wrong. Sleeping bags that are rectangle usually has a zipper that goes right around the bag, allowing it to be opened up completely to use as a blanket. Great for warm summer nights. Sleeping bags comes usually in different lengths. Small, medium, Large. Add 10cm to your height allowing enough space when you’re in the sleeping bag. Check that you can still apply your sleeping habits in the bag comfortably. Most sleeping bags comes in zippers on the left or right. If you sleep often on your right hand side, you will more like want your sleeping bag to open on the same side where you are facing. A stash pocket enables you to keep anything which is important or valuable near you. 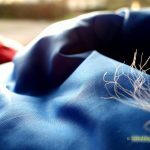 A Draft collar functions like what it’s name implies, it is a collar that you would find at the top of your sleeping bag, just above the shoulders to prevent draft or cold spots from entering to your heat zone. Once you’re all heated up, don’t lose your heat. 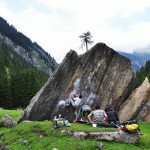 The importance of Water resistancy is only for those who bivy under the stars. The worries of dew and perhaps a light rain would be gone if you have a sleeping bag that is water-resistant. We know now that both down and synthetic insulation deteriorates when wet. So keep the wet outside. There are also products you can buy to impregnate your sleeping bags, but check first if your sleeping bag is suitable for this. A good sleeping bag usually has a non rip shell material on the outside and a soft cuddly lining on the inside. There are sleeping bags with cotton linings too. They can be comfortable on warm nights, but not anymore when it gets clamp and damp through the wonders of condensation and perspiration. Thats why, most sleeping bags today has a synthetic lining instead. It warms you up quicker too. Sleeping bags for women are usually a tick warmer, the cutting is different, putting priorities on the hips and foot. Hoods are usually always there. Make sure it goes comfortably over the head. 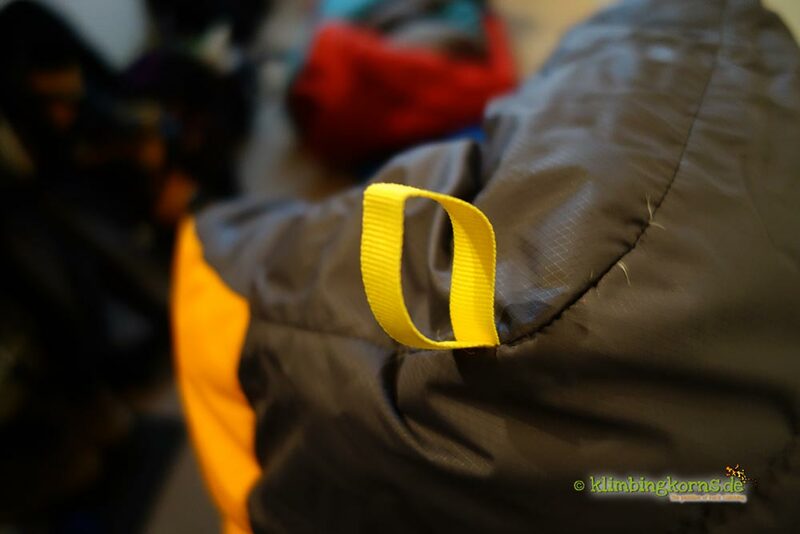 Check out where those bubble cords fall when you tighten the strings of the sleeping bag around the face. You might not like the idea of having the bubble or string falling into your face the whole night. Don’t wash your sleeping bag too often. But do it now and then. When you do, make sure your washing machine has a huge tumbler and you’re using right down/synthetic shampoo. Store your sleeping bag in a cool, dark place, in a big stuff bag (not the compressible one). Compressing it for long periods of time kills the loft, that’s when the fluffiness and warmth deteriorates. Shower before you sleep. – Not always applicable when you’re outdoors, but sleeping in your bag without the sticky perspiration, dampness and fatty tissues helps make your sleep more comfortable. 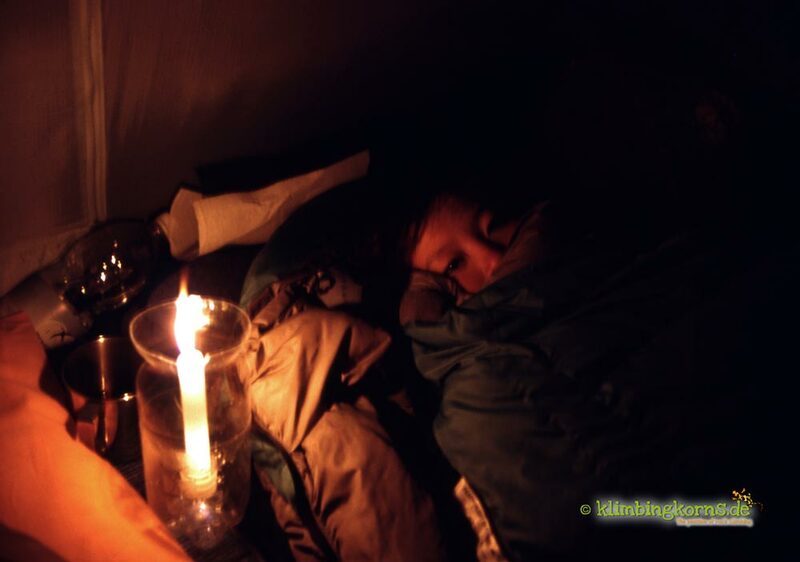 Remember that different surroundings and situations affect how comfortable you feel in your sleeping bag.